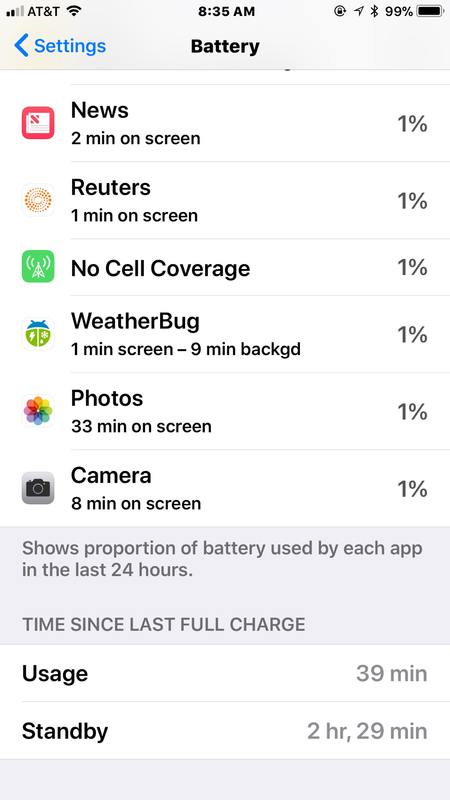 For those of you who've purchased the 8 Plus how is the battery life? Since its a smaller battery than the 7 Plus I'm curious to how its going to perform with the optimized A11 chip. I realize its early but would love to hear from those who've purchased the 8 Plus. I'll post my results later today as the day rolls on. I set it up yesterday and gave it 24 hours to sync so we'll see how it does. Thanks! Usage: 3 h 50 min. Standby time: 9 h 10 min. Hard to tell since I’ve been playing with it so much. It seems to last longer. I’ll see today. But honestly I’m playing with it too much to really be able to say. Plus I’m doing all kinds of downloading of music and movies etc. This is what I’ve got this morning. Last edited by qbnkelt; 09-25-2017 at 07:36 AM. Annie_8plus and Gadgetgirl38 like this. I have had my phone off the charger since 5:45 this morning. Facebooking, Email, Twitter and other internet surfing, texting and so forth. Usage is 3hrs and 13 min. Standby is 9 hrs 49 min. I am currently at 73%. This battery is murdering my S8+ right now. 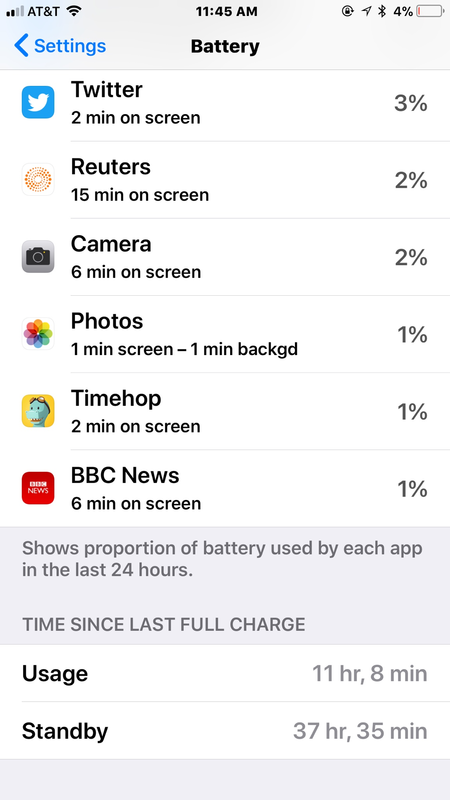 You can tell more about battery life, if you let it go down to 1%, then get the screen shot. There is some strange wizardry going on because at 21 hours I’m stil at 51%. I’m VERY pleased with my results. This isn’t for a full day because I charged up after the update today. But I can honestly say I’ve been experiencing about 30-40% better battery life since I got this phone on Friday compared to my 7 plus. Wowzers. I’ve never ever experienced battery life like this on any smart phone ever. Smaller battery but much better battery life. This Bionic chip is very power efficient. Yeah battery life on the 8 plus just murders the 7 plus. You should get more than that with the 7 Plus. 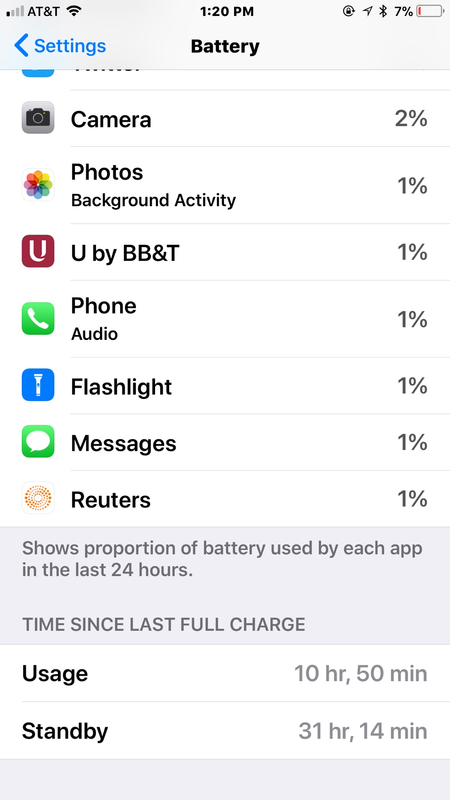 I get 5 to 6 on my 2 years old 6s Plus with heavy usage. 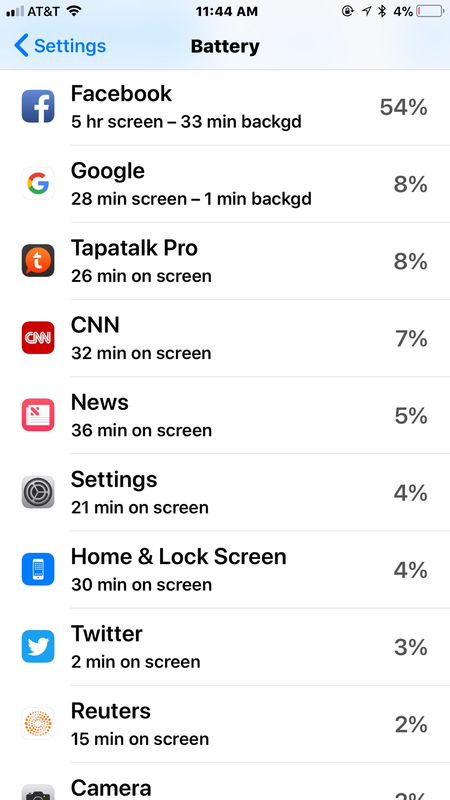 I don't pay much attention to battery usage or battery life. I usually upgrade before the battery dies. I'll be keeping my 6s Plus a 3rd year this time. 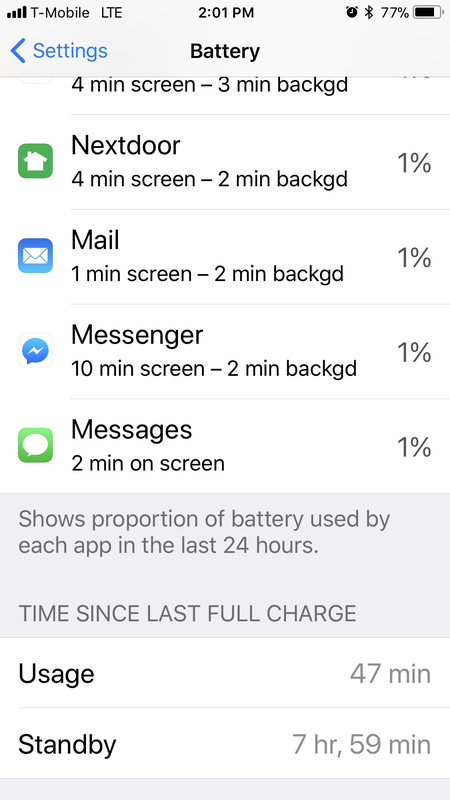 May need a new battery at some point. But that's OK, I'll keep my 6s Plus as a back up. I tend to use my iPhone a lot, which includes Clash of Clans and 70-80% brightness most of the time. Yeah. I've been using mine pretty much from around 5:30 am to midnight for 2 years. 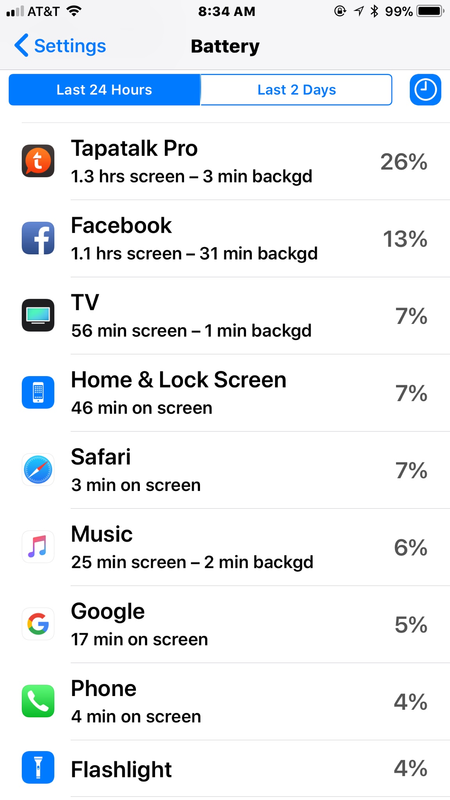 I do some intensive things, but have a lot in settlngs turned off that uses a lot of battery. 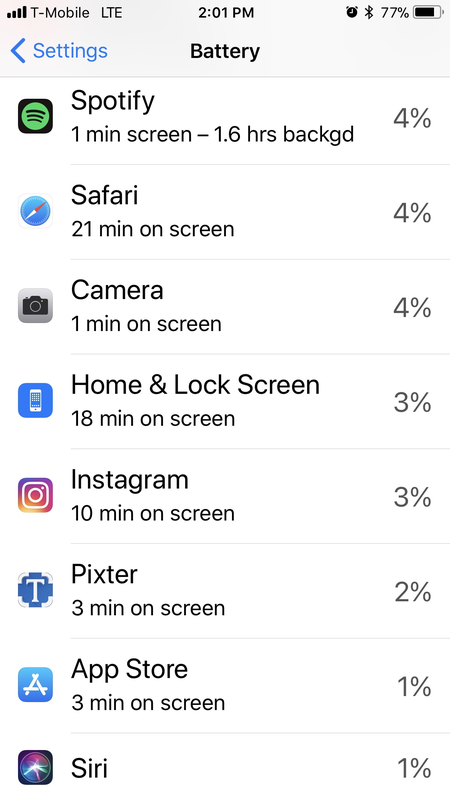 Don't play battery intense games much. Mostly WWF and Trivia Crack. Keep my Brightness on 30%. I have to agree with everyone on here. 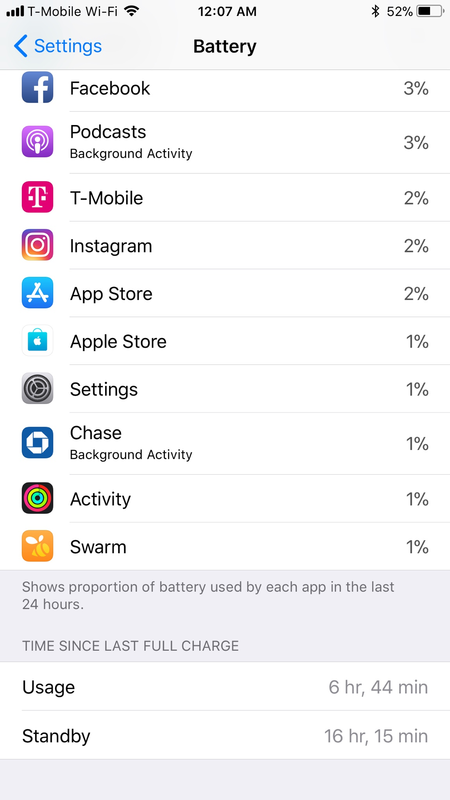 I am absolutely blown away by the 8Plus battery life. Its incredible. How does it compare to the S8+? It’s better than s8 plus without a doubt. 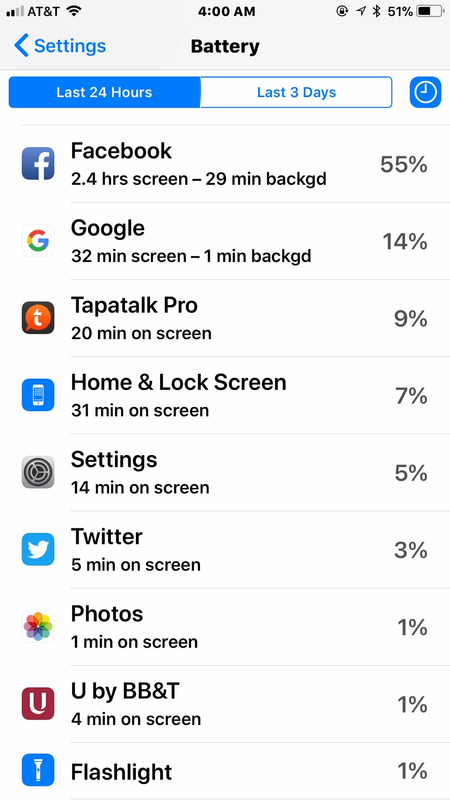 Battery life continues to be impressive. Actually even better. 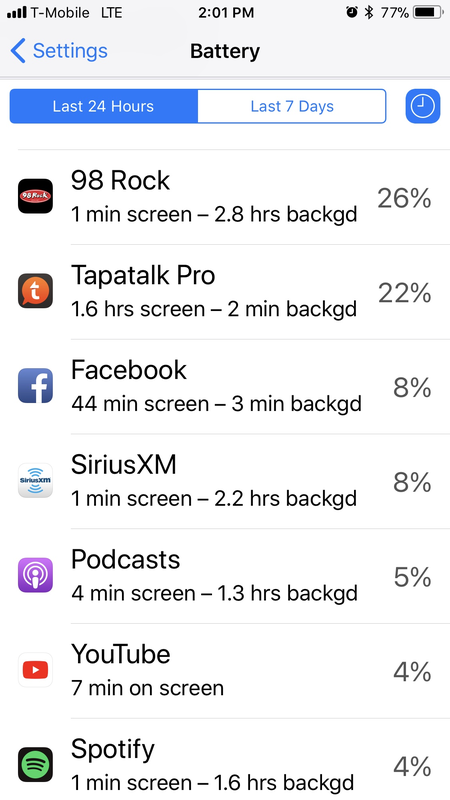 So why does my battery only show 47 min of usage when I start using my phone at 7 a.m. and listen all day pretty much to music, podcast and Sirius XM? I rarely turn it off until lunch. 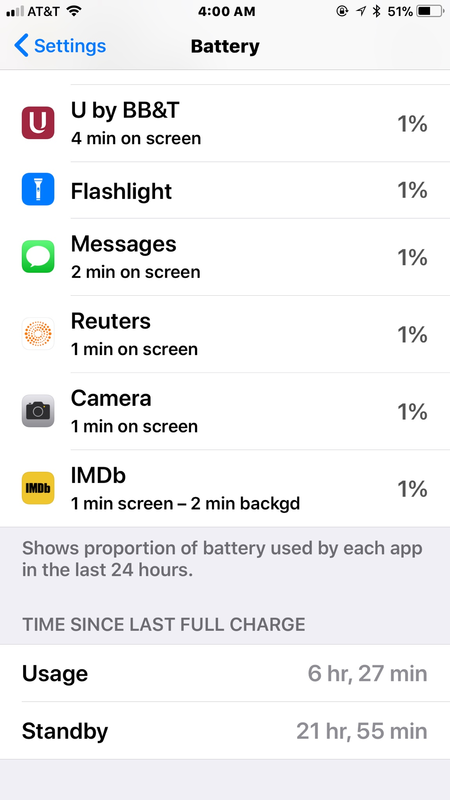 Shouldn’t it show as 7 hrs usage? I believe maybe because the screen is off? 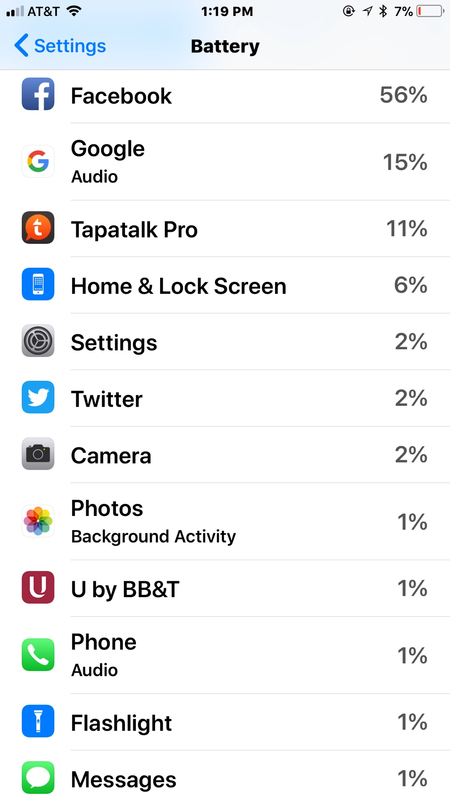 That’s what I was thinking too, since I updated to IOS 11 it doesn’t show much usage now. 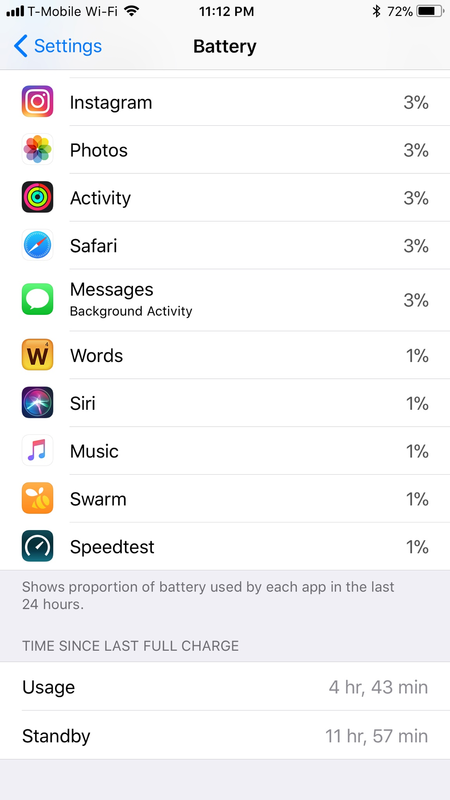 When I was on IOS10 I always had hours of usage while listening to music at work!